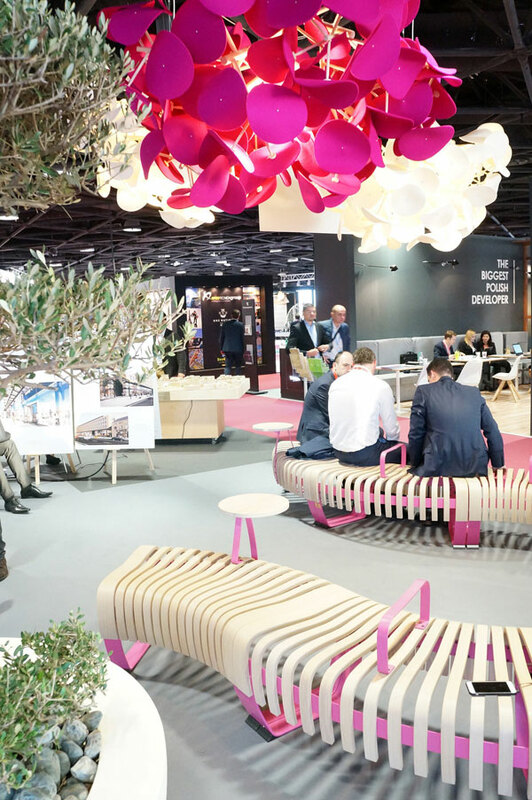 Green Furniture Concept showcased its range of eco-design benches and luminaires in the area devoted to relaxation at the MAPIC 2016 in Cannes. Green Furniture Concept, a Swedish brand of sustainable furniture, has designed a range of design products to meet the demands of professionals who are often looking for ecological, eco-friendly, sustainable and easy-to-maintain products to equip their public spaces while offering citizens comfortable, aesthetic and eco-friendly waiting areas. Green Furniture Concept is the marriage of design and durability. The Swedish brand creates and manufactures functional and eco-friendly furniture for indoor and outdoor spaces, with an original design, dedicated to furnish public spaces: station halls, waiting rooms in airports, media libraries, schools, universities, libraries, hospitals, hotels and restaurants… The sinuous lines of the benches made of recycled, natural and recyclable materials, fixed or modular, with or without backrest, consist of surplus wooden boards, decorated or not with metal planter and recycled steel frames whose elegance perfectly fits into the urban landscape. 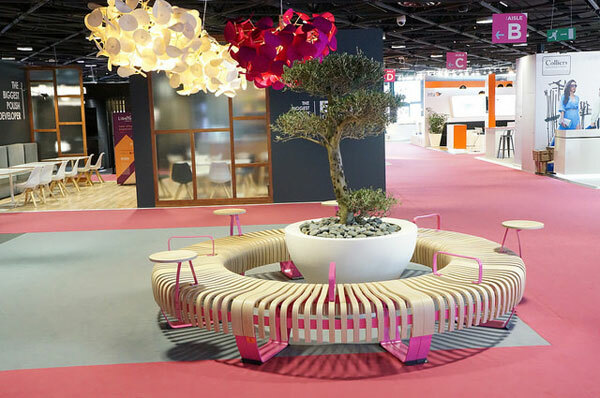 Green Furniture Concept is especially famous for its IOU eco design bench, signed by designers Johan Berhin, Jonas Ekholst and Joakim Lundren. Design and elegant, IOU is composed of surplus boards and recycled metal. Flexible and modular, it offers architects and decorators the possibility to assemble the modules in complete freedom to optimize spaces as much as possible. 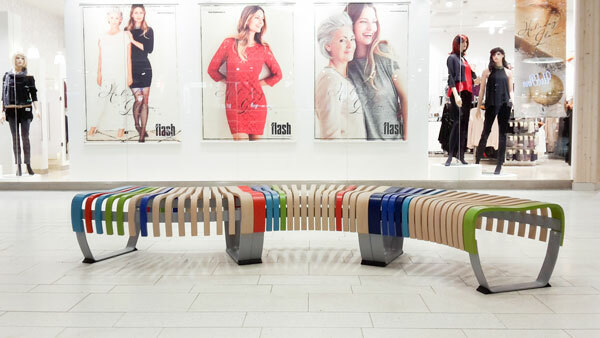 The Nova C bench offers a modular ondulations. 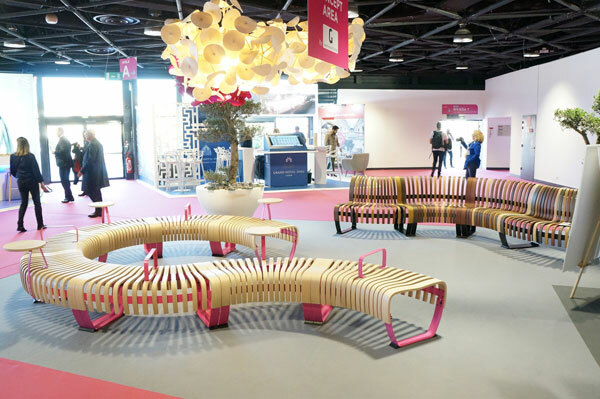 With its continuous line, it allows to provide a large number of seats for vast interior spaces. Its ergonomics adapted to the needs of the body brings unparalleled comfort and well-being and due to its compact size, allows efficient use of space. 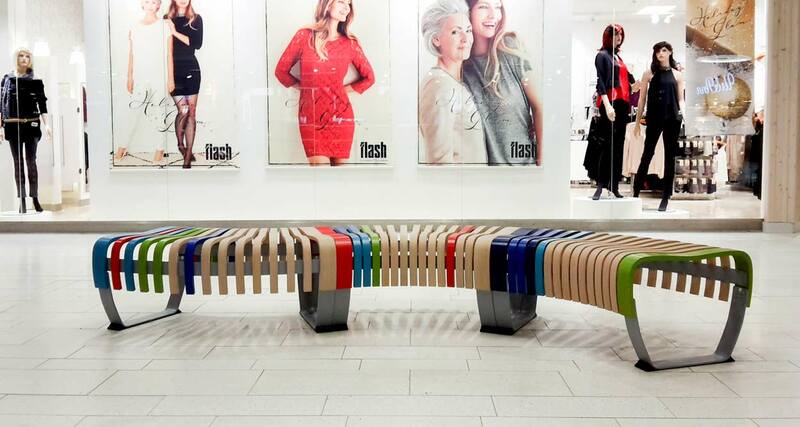 The Nova C bench is available in different colors and each piece has the unique feature of being unique because of its design and assemblage. The design benches of the Leaf range are made up of modules of one meter that assemble to each other to optimize the space. 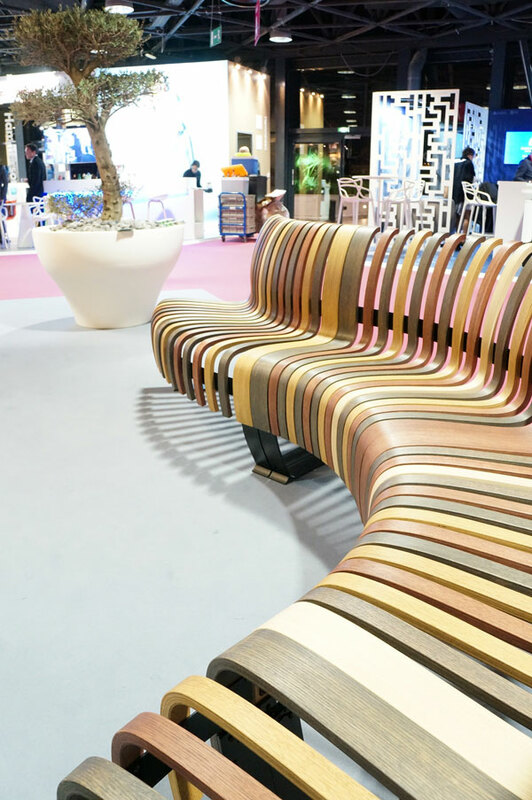 In wood or recycled fabrics, they can form curves or waves. The only constraint is the architect’s imagination! The Swedish brand Green Furniture Concept also designs luminaires like the Leaf Lamp Tree. This eco-design luminaire has been adapted for waiting areas or reception halls areas. Composed of a tree trunk as feet and felt leaves for better acoustic absorption, the Leaf Lamp Tree provides a soft and pleasant light and transmits a natural, warm and soothing atmosphere in the place where it is installed. 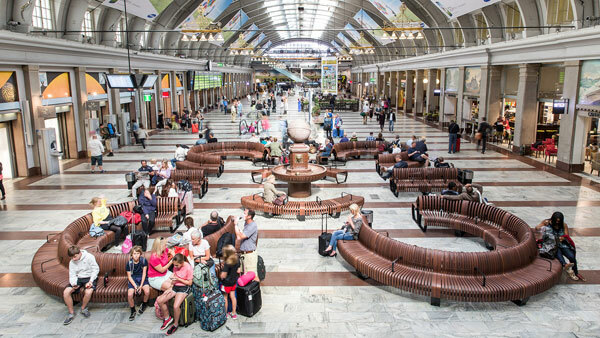 Since its creation in 2007, the Swedish brand Green Furniture Concept has been committed to the principles of sustainable development, from the design to the manufacture of its furniture. 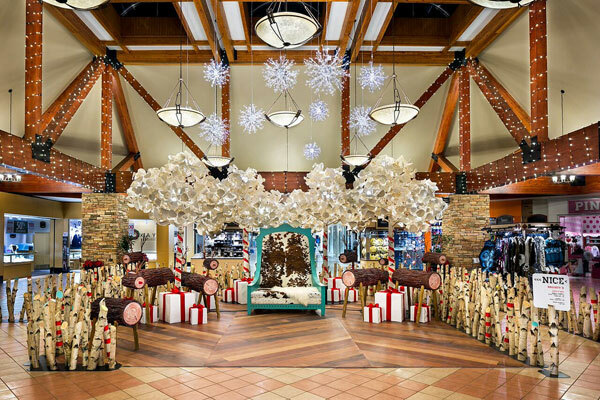 The company’s principle is to work with respect for the environment, to limit the ecological footprint, to use less and better raw materials with less polluting manufacturing methods. It also takes into account the life cycle of the material used, its possibilities for reuse, recycling, upgrading or composting at the end of its life. Green Furniture Concept created the Green Furniture Award for eco design. The competition aims at detecting and rewarding the nicest projects of sustainable design. The basic eco-design criteria are taken into account: choice and supply of materials, method of production, dismantling and recycling, social responsibility, etc. And above all, putting forward the products that will last beyond the current trends, the products that will be the icons of tomorrow.